How Reverse Osmosis Plants are Changing Billions of Lives? Reverse osmosis is the process that is primarily used for the desalination of water. Desalination means the removal of salt and other minerals from the seawater to make it suitable for drinking and domestic use. Desalination has not only reduced the cost of fresh water by huge margin but also ensure the reusability of water. Due to the increasing demand for fresh water source, several developed and developing countries are now using reverse osmosis plants to meet their requirements. The rapidly increasing population has alerted the experts and scientists about the depleted water resources. Freshwater resources are depleting fast and according to studies, the world will face serious water crisis in a decade. Therefore, it is necessary to look for alternate ways to get fresh water for drinking, domestic use, industrial use and other purposes. Reverse osmosis has provided a way to reuse the available water resources, thus reducing the consumption of natural water resources. Desalination method is adopted by countries that have no natural water reserves or that are regularly struck by drought. Those countries majorly depend on desalination plants for their water supply. Seawater has an abundance of water which can be made usable by removing the harmful minerals and salts from it. One example of countries that depend on desalination plants is Israel. Israel gets 80% of its water by treating the sea water. In reverse osmosis process, the water is passed through a thin membrane at a very high pressure. The pressure causes the water to pass while the bigger molecules of impurities, salts, and minerals cannot pass the membrane. This process is the most energy-efficient and cost-effective method to remove impurities from water. 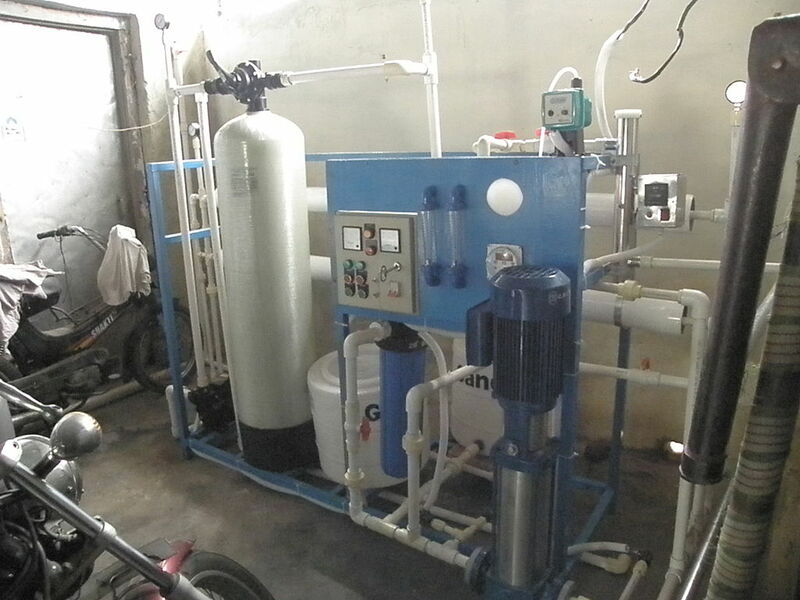 Therefore, RO plants are being installed in hotels, restaurants, hospitals, residential areas, and several other places to treat the impure water. Desalination Reverse Osmosis plant can remove almost 100% of the bacteria and impurities, thus making the water suitable for drinking, irrigation, cleaning, washing and many other purposes. Use of RO plants is very common in large-scale industries as well. The large scale industries like oil refineries, power plants, textile industries and other types of industries require a very large amount of water which is not possible by using natural water resources. Therefore, they have their own RO plants to treat the impure water. They further reuse the water by passing it again through the reverse osmosis process. They use the water few times before it is dumped into sewer. It has become inevitable for the world to adopt advanced techniques to meet the demand of water. There are countries who have built mega plants for treatment of water. These plants are using latest technology which has the most advanced type of membranes that ensure 100% safe and pure drinking water. The membranes not only remove the harmful bacteria but also remove the odor from water. The time is not far when the whole world will start using these techniques for fresh water. Governments and private organizations should raise awareness about the importance of water and take major steps to stop the wastage of fresh water.